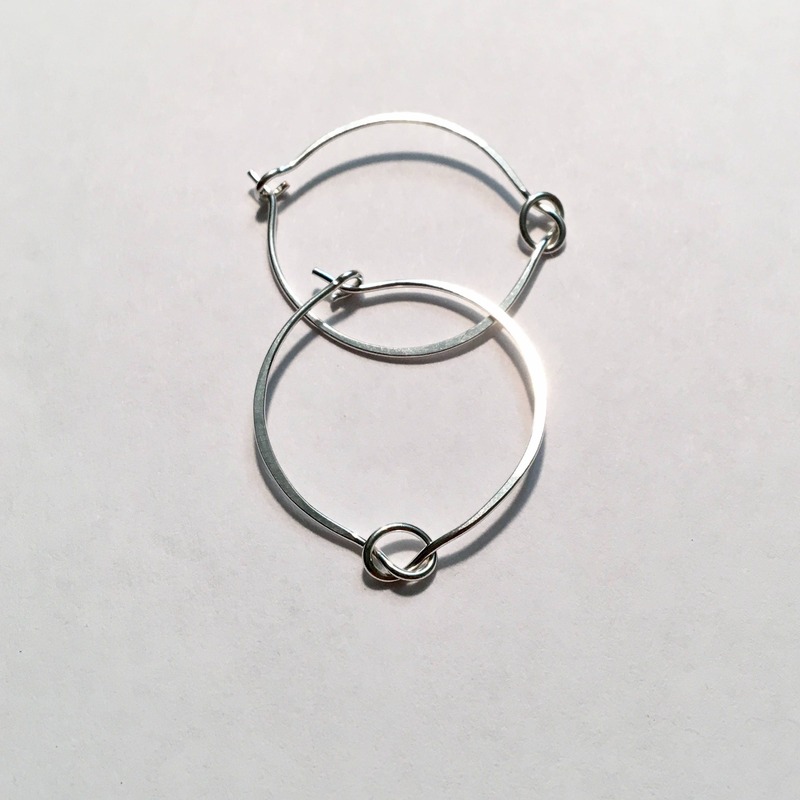 The silver wire is first literally tied into a knot, and then shaped and forged into a self-closing hoop earring so that the knot falls to the bottom of the hoop when worn. Simple, sleek & minimal-perfect to span different seasons & to complement many kinds of outfits. Available in larger and smaller sizes & can include special order custom sizes. 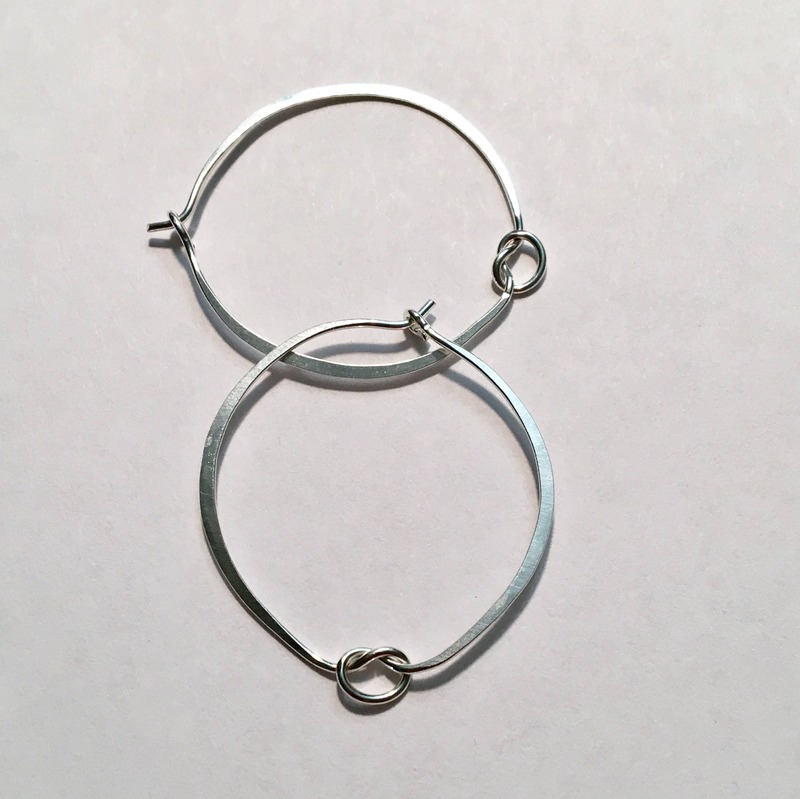 Sizes refer to the outer diameter of the hoop. Smaller is just under 1". Larger is just under 1 1/4". Photo with 2 pairs shows relative size difference. 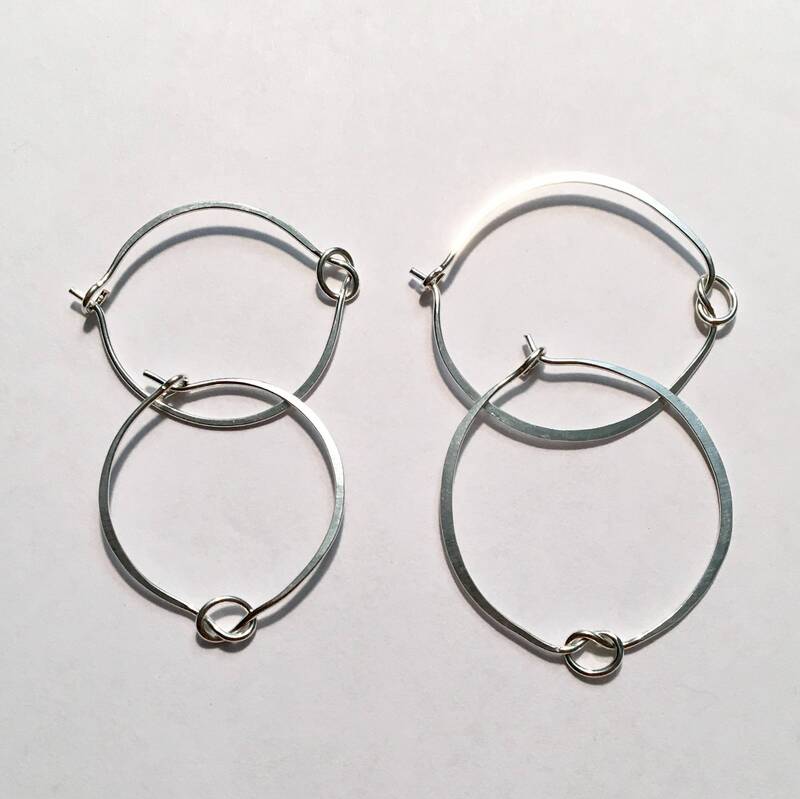 Sizes are approximate as each pair is handmade from soft wire that is gradually made harder & harder then finished with an extended time in the tumbler. Very lightweight & easy to wear. Mailed in my signature box, or velvet bag, embellished with satin cord and a decorative glass bead, all ready to gift. (Bag is default-note "box" in notes to seller if preferred! I can add a handmade gift card, add your personal greeting or note, and mail gifts directly for you-simply add info for your note in "notes to seller" & use your recipients mailing address. 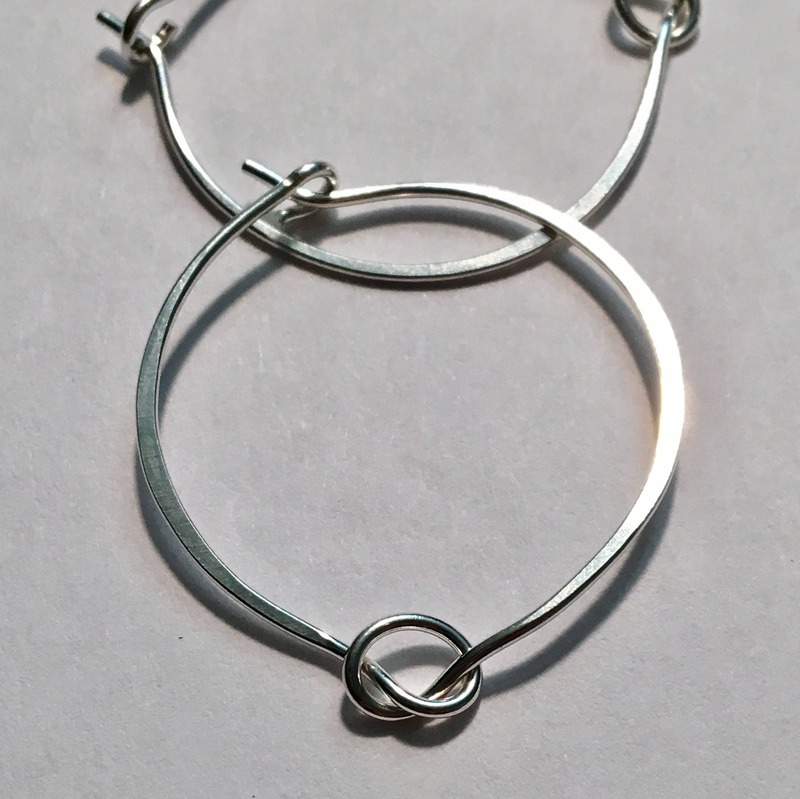 See many new original designs in my shop https://www.etsy.com/shop/WillOaksStudio?